With 3/16" and 5/16" Bubble Size! Perfect Reusable Bags for protecting your products! 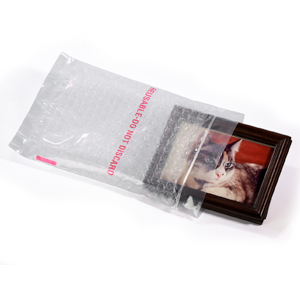 Reclosable Bubble Bags cushion and protect delicate items with heavy duty bubble between two layers of thick Polyethylene. 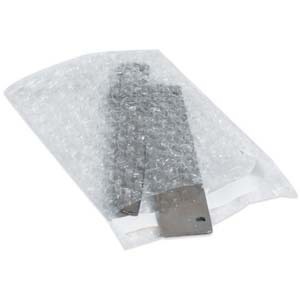 Bubble Out Bags have a smooth inner wall of the bag, and 3/16" or 5/16" bubbles on the outer wall of the bag. 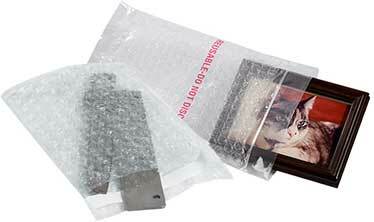 Both styles are like having bubble wrap in a bag! 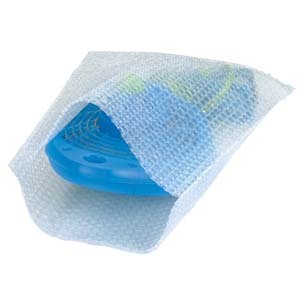 The great thing about these zipper locking bubble bags is that they are reusable for many different applications time and time again. 1|2|3|4|5|63%22|4%22|5%22|6%22|7%22|8%22|9%22|10%22|12%22|15%22|18%22|24%22|30%22|36%223.5%22|4%22|5%22|5.5%22|6%22|6.5%22|7.5%22|8%22|8.5%22|9%22|10%22|10.5%22|11%22|11.5%22|12%22|13.5%22|15%22|15.5%22|17.5%22|18%22|20%22|23%22|23.5%22|24%22|30%22|48%22 Select a Category123456 Width3"4"5"6"7"8"9"10"12"15"18"24"30"36" Length3.5"4"5"5.5"6"6.5"7.5"8"8.5"9"10"10.5"11"11.5"12"13.5"15"15.5"17.5"18"20"23"23.5"24"30"48"